Please note: Dr. Henderson cannot consult with patients without first receiving your completed forms. 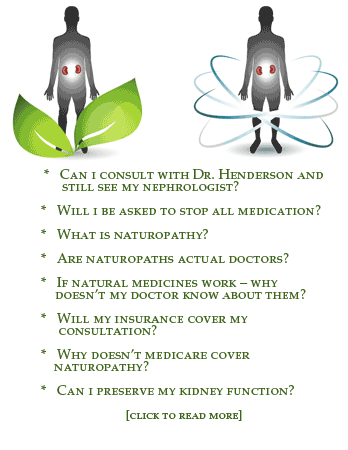 Forms can be filled out, saved, and emailed to appointments@holistickidney.com, or you can send via postal service. Payment is due in full at the time of service. Payments can be made online, or included with your mailed forms.